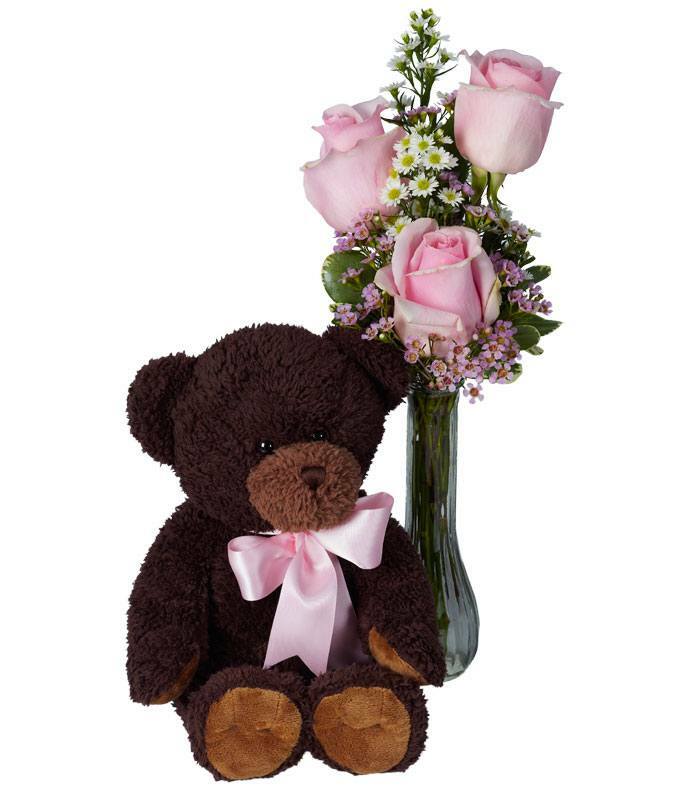 Send a combination of flowers and a teddy bear to someone special! Fresh pink roses are paired with an adorable plush teddy bear wearing a pink matching bow. If you're looking to make someone special smile, send this flower and teddy bear gift. This makes a perfect anniversary, thinking of you, and get well soon gift! Get it delivered today.